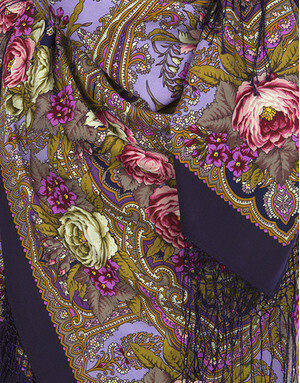 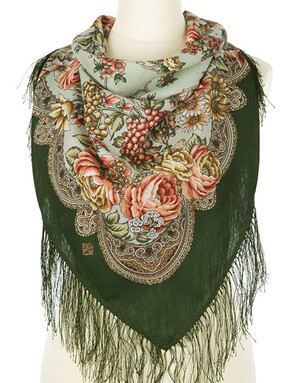 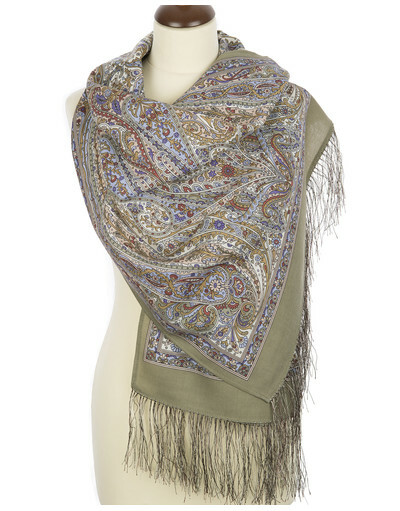 This wool pashmina is created based on best Russian shawl tradtions. 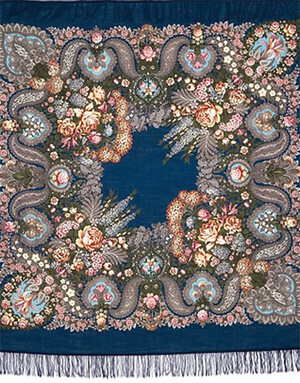 The design keeps Pavlovo Posad floral patterns which are created by professional artists and approved by a special art committee at the manufactory. 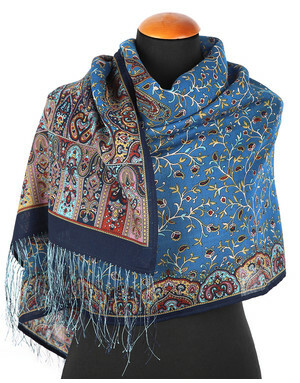 Pashmina size is very popular today and covers a range of fashion tastes. Wool pashminas as well as other Russian shawls are made of premium wool that makes our collection stand out among the competition. 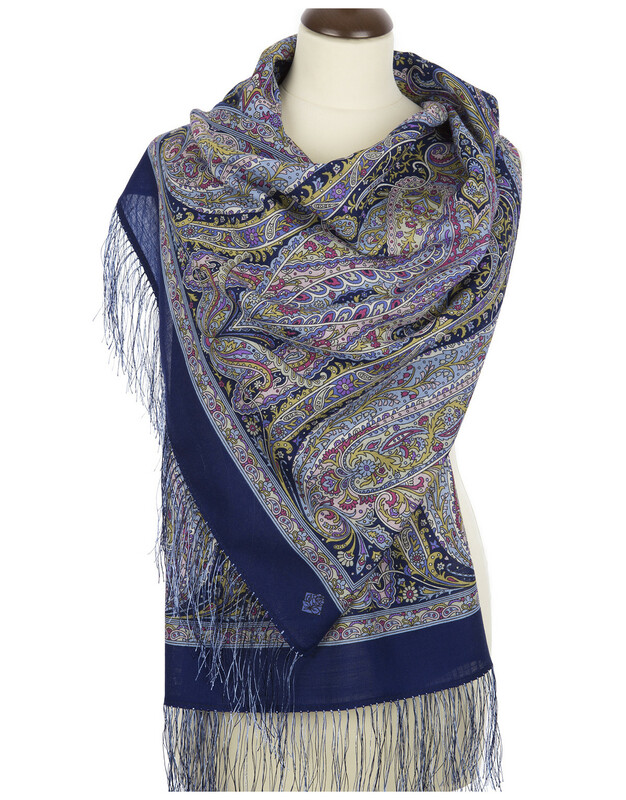 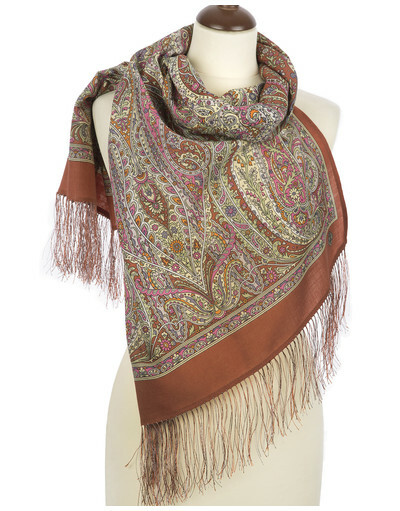 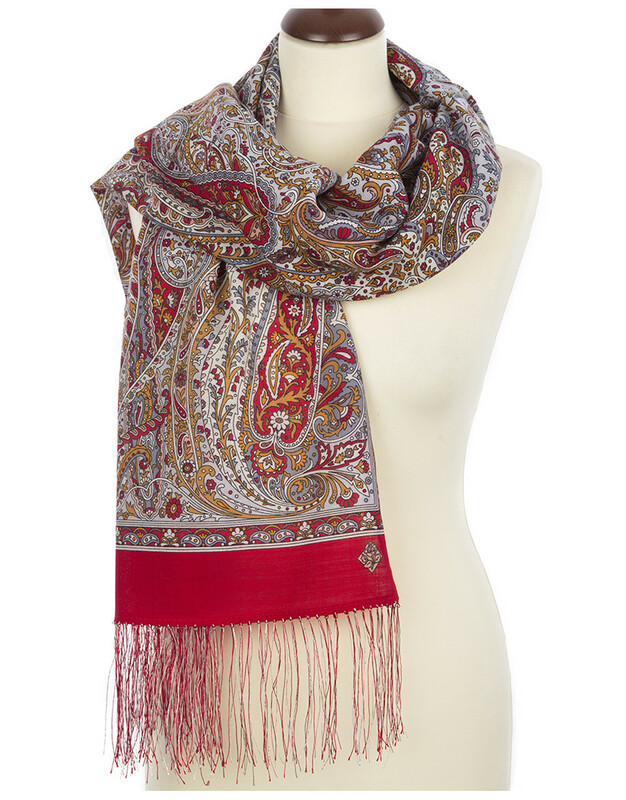 Every pashmina has fringe made of artificial silk on 2 narrow sides.